I don’t know about you but I have always hankered after a holiday on the Moon. Either a fortnight’s self catering on the Seas of Tranquillity or an all inclusive deal on the Sea of Nectar would be perfectly fine by me. So why can’t I seem to find any offers to take me there? Apart from the fact that there are not many great hotels up there and the restaurants are fairly limited it seems that there are some other logistical problems in taking a lunar break. Yet we continue to believe that they are just around the corner. I read recently that around 5% of us think that by the year 2020 we will be able to choose from Benidorm, Cancun or the Moon for our annual family holidays. Is this really a possibility or are we all just a little deluded? I decided to check to see whether leisure breaks outside of the Earth’s atmosphere are likely to become a reality before those long awaited flying cars and time machines. It’s not good news. This got to be the biggest drawback, hasn’t it? In case it has escaped your attention fuel ain’t cheap these days. The few space tourists to have made the journey off the planet so far have paid millions of pounds for the pleasure, and that was without adding on any extra excursions or asking for a room upgrade. In fact, they didn’t even make it to the Moon. 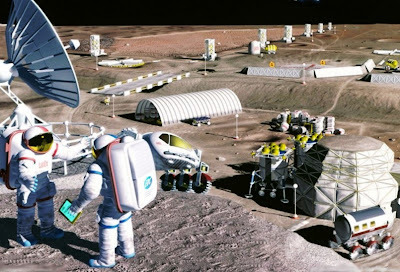 It simply isn’t reasonable to expect a normal family to go the Moon when even exploratory flights have been in such short supply lately due to the enormous cost involved. Do you know how many people have set foot on the lunar surface? 12. Another 12 have gone there but were happy to stay indoors. The last person who walked on the moon did so in 1972. It simply isn’t as common an event as most of us think. There is now way that a holiday firm could afford to send out loads of kids with buckets and spades and teenagers with brightly coloured shorts unless there had been extensive testing and many flights out there. Sometimes the kids get bored on a holiday to Spain or France and say that there is nothing to do. Well, on the surface of the Moon there is really nothing to do. You get a great view of course but will that keep the kids happy for a fortnight? There isn’t even a decent cinema there. I guess the thrill of being virtually weightless would last for a few days but even that is likely to wear off after this time. If you are going to be spending a few million pounds on a family trip you might as well choose somewhere which has a bit more life and some more leisure options. Like planet Earth, for example.